Embattled Egyptian President Hosni Mubarak could have amassed huge sums of money as much as 70 billion dollars during the decades that he has been a top official. According to analysis by Middle East experts, Mubarak has taken much of the gains overseas and deposited much of his wealth in secret bank accounts in British and Swiss banks, The Guardian reported on Friday. All American Ambassadors Called Back to Washington! In an unprecedented move, apparently one that has never happened before, nearly all U.S. Ambassadors to all nations have been called back to Washington for a summit conference. This event, mostly unreported, concluded on 4-Feb-2011. The first known cases of cholera in New York since the outbreak of the disease in Haiti last year were confirmed on Saturday by city officials. A commercial laboratory notified health officials on Friday that three New Yorkers had developed diarrhea and dehydration, classic symptoms of the disease, after returning from a wedding on Jan. 22 and 23 in the Dominican Republic, where the government has been trying to prevent the disease from spreading from neighboring Haiti. The three who contracted cholera were adults who returned to the city within days of the wedding. None were hospitalized. Dr. Sharon Balter, a medical epidemiologist for the city Department of Health and Mental Hygiene, said on Saturday that the victims had all recovered. Officials declined to release the names of the patients or where they lived. City health officials are now working with the Centers for Disease Control and Prevention in Atlanta to determine what the New York victims ate and to see if the strain of the disease they contracted is linked to the cholera epidemic that has ravaged Haiti, killing thousands since October and infecting many more. 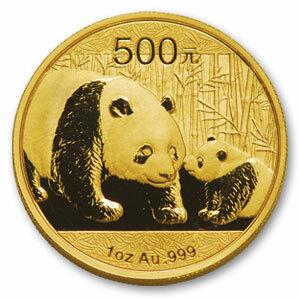 In this world of chaos and tumult, the Chinese people know what to do to preserve their wealth – they buy gold. When Americans finally wake up, if that ever happens, there is a good chance that there won’t be any gold to buy at any price. BEIJING (Commodity Online):An unprecedented investor interest in gold is turning Chinese households as store houses of wealth these days as people are on a gold buying spree across the rural and urban areas of the dragon country. Bundles of news stories are these days written on the gold buying spree by the Chinese households. If not an overstatement, it is now a fact that people’s houses in China have soared in value thanks to the rising prices of gold in the last two years. “People in China are buying gold like never before. They believe that gold is the best form of investment. So they are buying gold coins, bars and jewelery items and stocking up safely in their homes,” says Beijing-based bullion dealer J Kim Lee. Quoting the World Gold Council figures, Lee says that if the gold buying spree by Chinese households goes on at the current pace, private gold Chinese demand may overtake Indian gold demand by 2014, giving the world’s two most populous nations two ounces of gold in every five sold worldwide that year. Indian households are estimated to be owning 15,000 tonnes of gold. India continues to the largest consumer and importer of gold worldwide. An armchair archaeologist has identified nearly 2,000 potentially important sites in Saudi Arabia using Google Earth, despite never having visited the country. David Kennedy, a professor of classics and ancient history at the University of Western Australia, used Google Earth satellite maps to pinpoint 1,977 potential archaeological sites, including 1,082 teardrop shaped stone tombs. Dr Kennedy told New Scientist that he had verified the images showed actual archaeological sites by asking a friend working in the Kingdom to photograph the locations. The use of aerial and satellite imaging has been used in Britain to locate Iron Age and Roman sites in Britain, as well as Nazca lines in Peru and Mayan ruins in Belize. 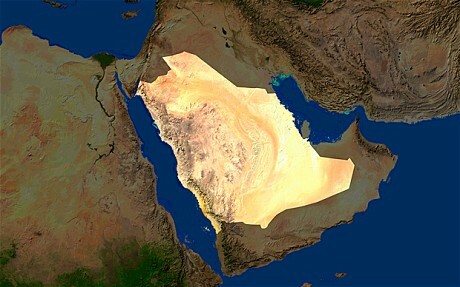 But few archaeologists have been given access to Saudi Arabia, which has long been hostile to the discipline. Hardline clerics in the kingdom fear that it might focus attention on the civilisations which flourished there before the rise of Islam – and thus, in the long term, undermine the state religion. In 1994, a council of Saudi clerics was reported to have issued an edict asserting that preserving historical sites “could lead to polytheism and idolatry” – both punishable, under the Kingdom’s laws, by death. Saudi Arabia’s rulers have, in recent years, allowed archaeologists to excavate some sites, including the spectacular but little-known ruins of Maidan Saleh, a 2,000 old city which marked the southern limits of the powerful Nabataean civilisation. For the most part, though, access to ancient sites has been severely restricted. 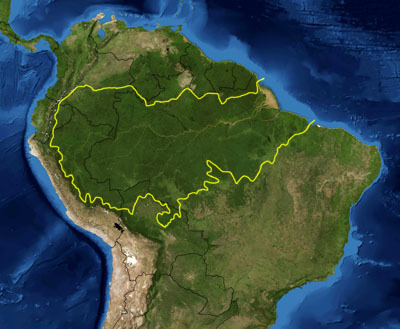 Two severe Amazon droughts have sparked fears that the rainforest’s ability to absorb carbon emissions is being diminished – and, worse still, it may soon release almost as much CO2 as the US. A rare drought in 2005 – billed as a once-in-a-hundred-years event – was then followed by another drought in 2010 that may have been even worse, according to a study by a team of British and Brazilians scientists in the journal Science. With a huge number of trees dying as a result of the droughts, the scientists predict that the Amazon will not be able to absorb as much carbon dioxide from the atmosphere as usual in future. This would remove an important global buffer against pollution. Even worse, rotting trees may release into the atmosphere as much as five billion tons of C02 in the coming years. That would be almost as much as the 5.4 billion tons emitted from fossil fuel use by the US in 2009. An Oil Tycoon – a high ranking Bilderberg Mason is terminally ill in the USA. He confessed some of the plotted events coming for us all in the next year or so before the take over of the New World Order whereby we will be ruled by China. But of course the Real Rulers are the Illuminati Bankers who will remain in the shadows as the Chinese take over as the front stage men! This is what he said which also includes other revelations and facts given to us by the alternative media which is not masonically controlled. 1 – Strike on Iran within 2 years and will spread everywhere! currencies plotted so pull your money out of the Banks, spend it NOW! Leaders with America reduced to Third World status! Timothy Geithner of the US Treasury speaks fluent Chinese! (KEVIN RUDD SPEAKS MANDARIN ALSO. ED.) Within 2 years we will not recognize America. The Elites have altered their Time Line. After 2 years we will be so poor, we will not be able to rebel! cash to Gold ASAP – Urgent. Don’t hang around because the Illuminati are going to crash the banks further very soon. We are entering into a depression whereby we are ALL going to be utterly poor within two years from now – peasant attitude and peasant way of life.. Don’t depend on Real Estate, Assets!